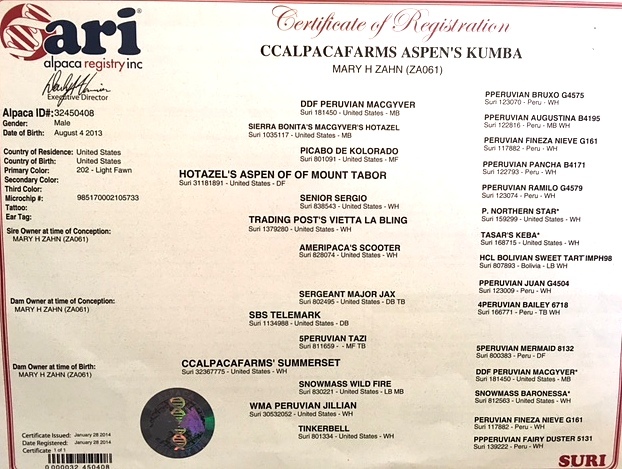 Coldwater Creek Alpacas is proud to present CCalpacafarms Aspen's Kumba. Wow does this boy have strong genetics! 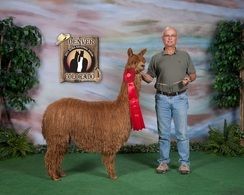 Sired by show winner Hotazel's Aspen, Kumba has inherited some of his father's striking features. 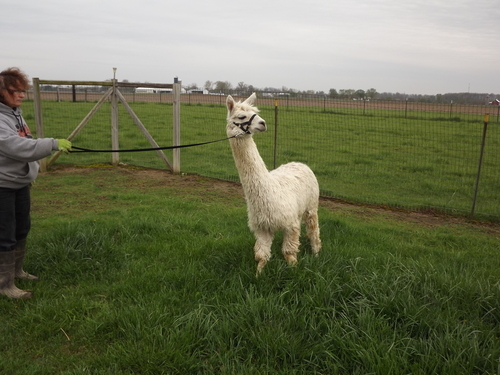 His dam was CCalpacafarms Summerset, known for her fine and consistent micron and uniformity of fleece. 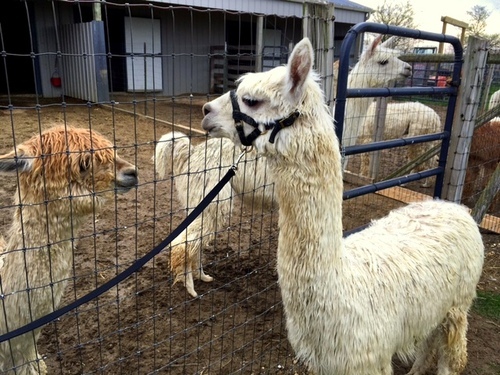 Kumba would make a great addition to any herd, especially a starter herd. 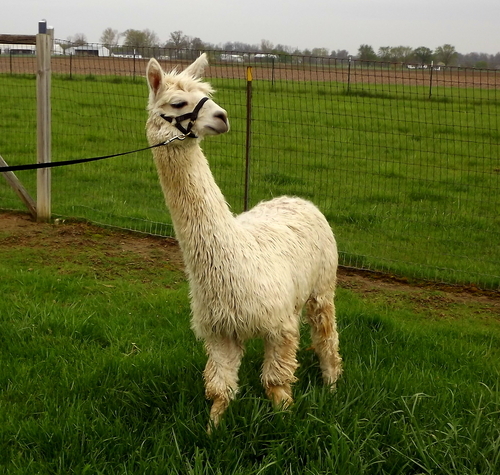 His mild tempermant and easy handling makes him an ideal candidate for anyone, even those just begining their adventure with alpacas. 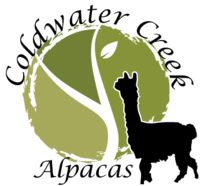 Don't miss this opportunity to bring home great genetics to the herd! Call today!